Yakfolk are a race of heavy-furred bovine men who make their homes in the beautiful verdant valleys between mountain peaks. They stand smaller than a minotaur, but are much more civilized than their brutish counterparts. They dress in fine silks and decorate their horns with silver and tassles. Despite their utopian towns and culture, Yakfolk are brutal slavers and each member of their race usually has many human, elven and dwarf slaves. They're learned in magical arts, with the innate abilities to fuse their bodies with that of another humanoid creature and to control evil genies. Their signature weapons are the falchion and the magical staff. The winner for last week's poll was high fantasy and diplomatic mission. Originally I was going to do the drow, but matriarchal black elves that live underground and worship an evil spider goddess aren't high fantasy enough. Genie-commanding, body-melding cow-men are high fantasy enough. As for diplomatic mission, you'd probably want to make some sort of treaty with them. I would. Either that or run away. Special thanks to Joe with helping me figure out an interesting way to set up the layout and style of this image. 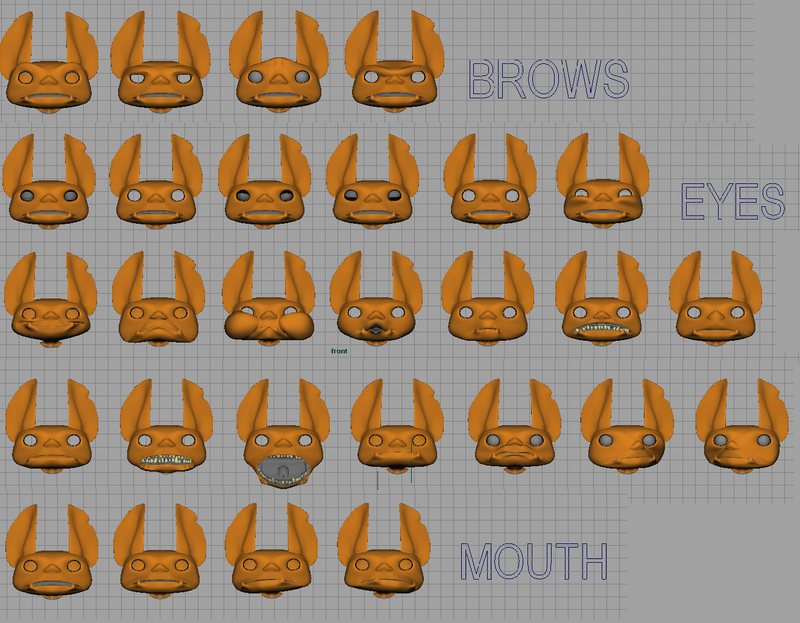 Also I think I'm done with all the blend shapes for my goblin. Currently working on the tongue and figuring out how to set up some controls. 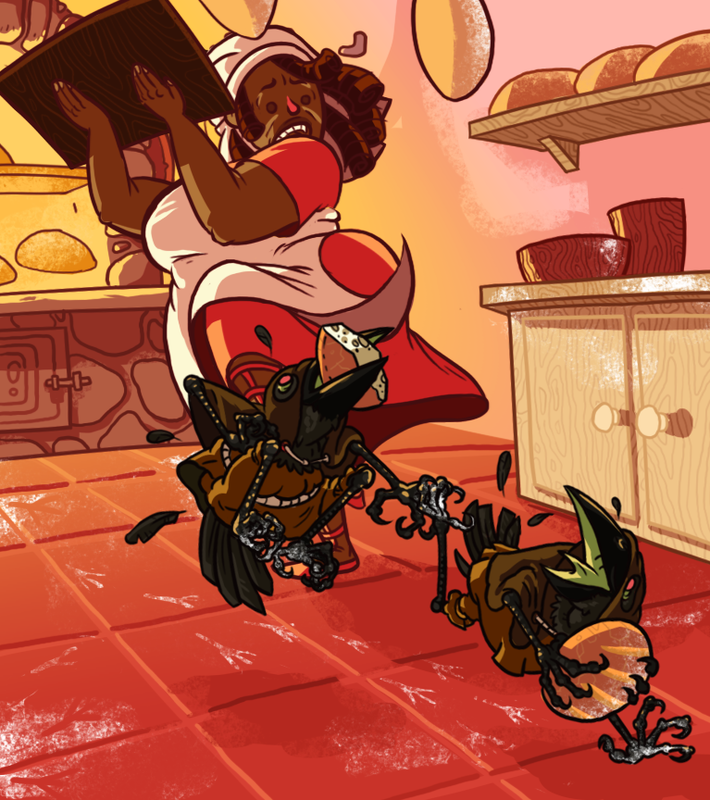 The Kenku are a race of flightless corvid humanoids that live in cities. They're of evil disposition and are especially prone to theft, which they execute in large groups. The Kenkus small size, ability to mimic sounds and strong sense of cooperation means they're often contracted as thieves, spies and assassins by those who'd rather not implicate themselves in that sort of crime. I consider kenku in the same family as kobolds and goblins: absurd, cute, pathetic little creatures that are somehow supposed to imply a threat. They're a more dishonorable version of the tengu, a crow-man creature of Japanese mythology known for their mastery of the sword. The Oriental Adventures book has the more faithful version of the monster. The winner of the poll was city monsters.I'm really late this week because I keep working on the goblin stuff instead. 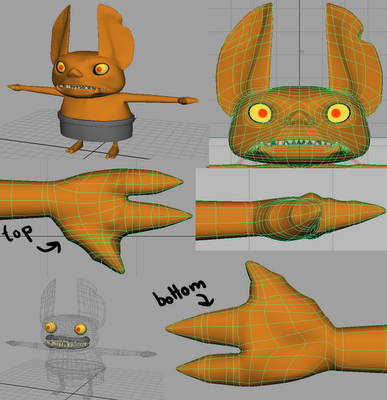 I finished modelling the character itself and all his clothing and have started working on the skeleton. 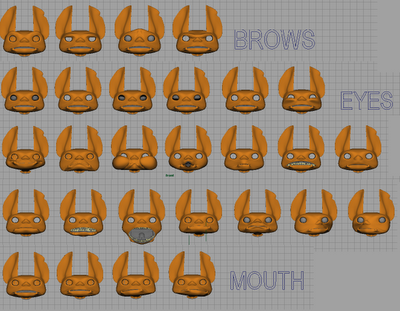 I've also bee working on the blend shapes for his head, which is really fun. I'm going to have to figure out how to stop the teeth from popping out of the cheeks when the face morphs. Edit: Improved the image some with colours, shading and floury footprints. Domovoi are fey of the helpful variety. They're normally found near places of civilized activity, homes or campsites. In exchange from some scraps and maybe some milk, these hairy little men will keep your fires live and warm. They're slippery creatures, and prefer not to be seen by the people they're helping. Even if you got your hands on one you'd find it difficult to keep a grip on them; they're covered in a fine layer of soot and ash, making it difficult to keep a grip on them. "...wants to help me" was the winner for last week's poll. It was pretty close for a while, since "wants to eat me", "is three times bigger than me", "is tiny" and "is surrounded by its minions" where all tied with four votes each before the winner got an extra two clicks. I'd actually found a creature that could fit all four categories. Oh well. 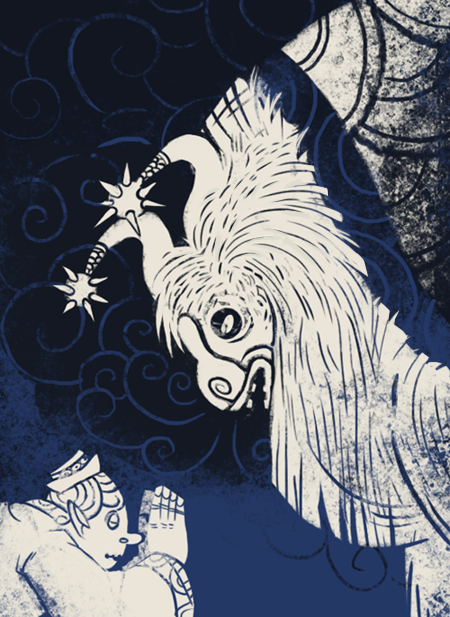 Domovoi are creatures of Russian/Slavic folklore (as if you couldn't tell). They have a slightly more malevolent counterpart called the Dvorovoi. These other little men were in charge of barns and livestock, but could make your cows sick if they were in a bad mood. The poll for this week is terrains. You can select multiple answers in this one. 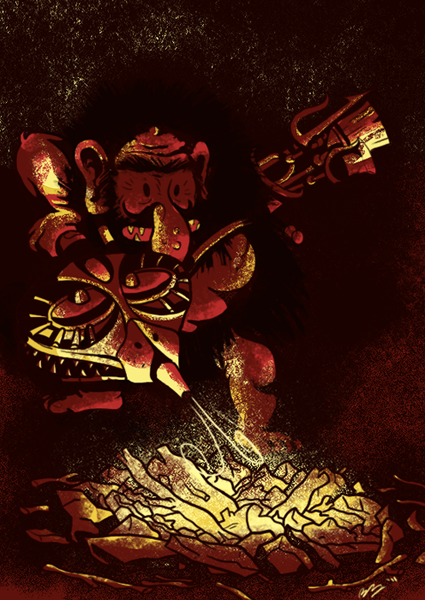 Also, more work on the goblin. A friend helped me out by making some suggestions on the hand and clothes modelling. He's also now got teeth. Further crits would be appreciated. I'm probably going to start trying to figure out how to do blend shapes soon and that's the kind of thing where I need to be 100% certain on the model itself.